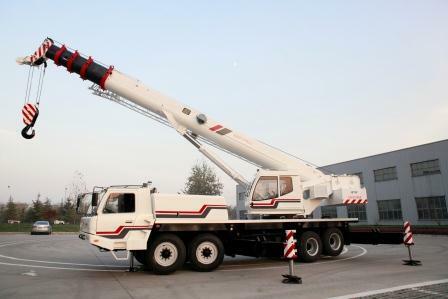 Equipped with the longest boom among like products, reliable hydraulic security device and the imported variable pump, valve and lock, and the electric proportional control system as well as the energy-efficient truck crane chassis, QY75E truck crane lifting performance outperforms its competitors. PLC control technology is applied to electrical control system and makes it much simpler, more stable, reliable and durable. Its appearance embodies the brand culture of Beijing Jingcheng Heavy Industry Co., Ltd and is the symbol of high quality. Main hoist is equipped with built-in normally closed brake and balance valve. Outriggers Four H-type hydraulically controlled outriggers; Independent horizontal and vertical movementcontrolled form each side of carrier and the superstructure cab. Each outrigger is equipped with hydraulically controlled check valve. Electronic crane level indicators.